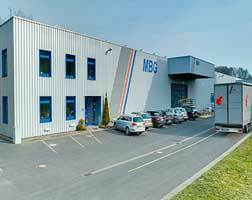 Hydro has completed the acquisition of MBG Metallbeschichtung Gerstungen GmbH (MBG), a German powder coating specialist. The Gerstungen based company has been an important partner of Hydro Building Systems for powder coating for 20 years now. The move completes Hydro’s range of aluminum construction systems in the DACH (Germany, Austria, and Switzerland) region with further integrated service offerings in surface treatment. According to Hydro, the business activities of MBG and the good cooperation with employees, customers and suppliers will continue unchanged. Hydro Building Systems intends to continue its business relationships with its other surface treatment partners.